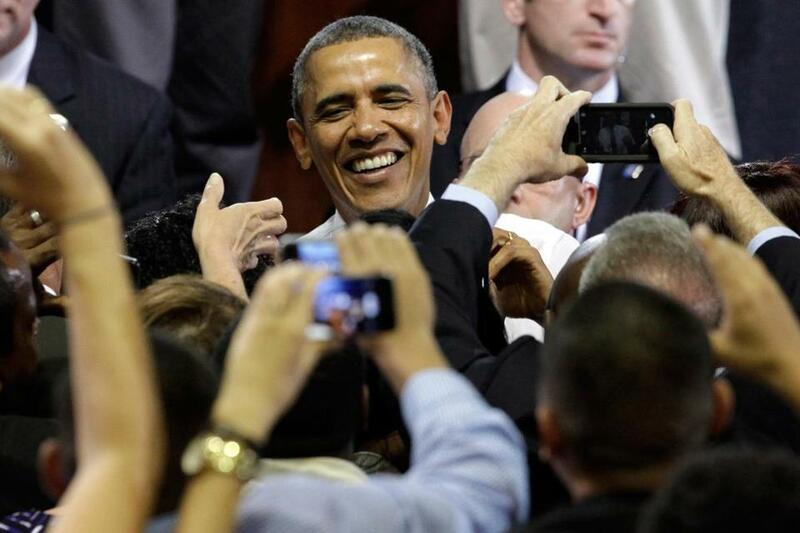 Obama’s weekly schedule now includes time for phone calls to lawmakers. WASHINGTON — In late December, President Obama’s new legislative affairs team sent him more than a dozen recommendations for ways to improve his strained relations with Capitol Hill. The president responded with a few ideas of his own, including a request for more social events with lawmakers at the White House. It was a surprising suggestion from a president who has done little socializing with lawmakers of either party and has dismissed the notion that sharing a cocktail or a meal with members of Congress is a prescription for easing Washington gridlock. But within weeks, there Obama was, mingling over martinis and appetizers with Democratic lawmakers at two White House receptions. For some members of the president’s own party, it was one of the first times they had interacted with him without the weight of a crisis or a crucial vote hanging over them, said Representative Peter Welch, Democrat of Vermont. White House officials say Obama’s cocktail gatherings are part of a broader overhaul of his congressional outreach operation after the dismal start to his second term. Under the direction of new legislative affairs director and longtime Senate operative Katie Beirne Fallon, Obama’s weekly schedule now includes time for phone calls to lawmakers. Members are getting more invitations to fly on Air Force One and attend Obama’s events around the country. An important post on the legislative affairs team that was vacant for more than two years has been filled by a Capitol Hill veteran, who now represents the congressional perspective in White House meetings on health care, climate change, and minimum wage. More than two months into the year, the moves are being cheered by Democrats and winning tepid praise from Republican leaders, who say they’re now in more regular contact with the White House. Among them is Senator John McCain, Republican of Arizona, who said Fallon is the first White House legislative director to stop by his office since Obama became president. Yet it appears unlikely that the White House’s attempt to warm relations with Congress will help Obama advance his legislative agenda. Republicans have little incentive to improve ties with Obama at this point in his second term. Both parties are making clear they have little appetite for tackling big bills in an election year. ‘‘We certainly appreciate the outreach, but each day closer to November, it becomes increasingly clear that Senate Democrats have no interest in actually accomplishing anything other than TV ads,’’ said Don Stewart, a spokesman for Senate Republican leader Mitch McConnell. The new outreach also did little to prevent the White House from an embarrassing defeat on the Senate floor last week, when bipartisan lawmakers rejected Obama’s candidate to be the government’s chief civil rights attorney. Eight Democrats joined with Republicans to block Debo Adegbile from advancing to confirmation. Obama has made sporadic overtures to lawmakers before, though his outreach often has coincided with a specific policy goal. He held a few dinners with GOP lawmakers last year to test the waters for possible deficit reduction negotiations, but the invitations stopped after it was apparent that there was no appetite for a grand budget bargain. Obama played a round of golf with House Speaker John Boehner, Republican of Ohio, in the midst of the 2011 debt ceiling fight, but the pair never met again on the course. White House officials say their goal this time around is to focus on consistency, not immediate results. In an election year, they’re also seeking to rally Democrats around consistent messaging on issues such as the minimum wage. ‘‘Even if Republicans continue to resist any action to grow the economy, Democrats will stay united to make the public case for these priorities that benefit the middle class and lay the groundwork for eventual success,’’ White House spokesman Josh Earnest said.